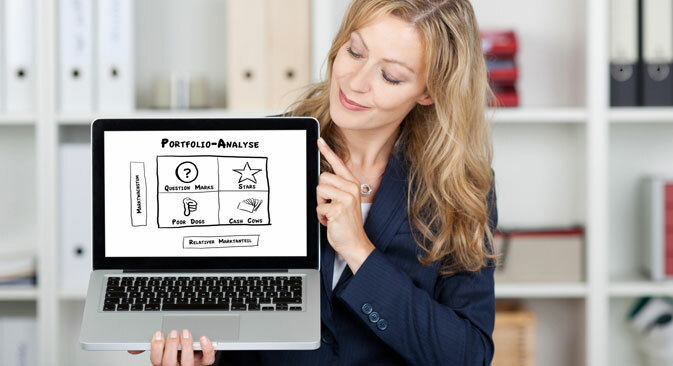 Founders of the Talent Map start-up believe that a visual CV would make it easier to read information about the applicant’s level of experience and see how his or her career is developing. The Talent Map service offers to use a visual CV for Russian job applicants. Some recruiters love the idea, while others remain unconvinced. Nadei was among the first to offer a visual CV to Russian job applicants; the prototype of his website first appeared in 2009 and was called NOT4HR. It was a system for managing responses to job vacancies: it allowed the applicant’s work experience to be matched against the vacancy’s needs automatically. “One of the trickiest problems to solve was the complexity of forms used for CVs,” Nadei says. In 2010, he decided to create a separate interface for applicants, calling it KartaTalanta.ru. The site went live in June 2012. Nadei believes the graphic format is particularly suitable for displaying the career history of applicants that have had long and varied careers. Yevgeny Lysyakov, head of the staff outsourcing department at Intercomp, believes that the appearance of visual CVs means progress. “If we think back to the times when applicants filled out simple application forms where they had to list their close relatives and all the positions they had held — even if there was not really a job description for it — then this is progress for sure,” he says. Anton Nadei, founder of the Talent Map service: The principle element of a visual CV is a diagram of career growth. It’s like a timeline on which graphic blocks are marked. “Instead of just a write-up of their professional experience, it could be worthwhile to visualize quantitative indicators — the pace of turnover of projects, their geography, the number of staff supervised,” says Alexander Shumovich, a partner at Eventum Premo. In opposition to Nadei, some experts suggest that a visual CV could actually play into the hands of a candidate with little experience. Lawyers and financial experts should also avoid visual CVs, according to Dmitry Bunkov, the HR director at Boehringer Ingelheim pharmaceuticals. “A graphic presentation of information about yourself is a tell-tale sign of a tendency towards experimentation, whereas applicants for positions in these fields are expected to display predictability and reliability,” says Bunkov. “Sure, this kind of stuff has been around a long time, but it’s never amounted to anything more than an indulgence, or an outlet for the creative fumblings of inexperienced designers,” says the HeadHunter Board of Directors chairman, Yuri Virovets. In his opinion, graphic CVs are a useless tool for recruiters.